Arboreal modelled the slippage between experiencing a thing and experiencing an image of a thing. 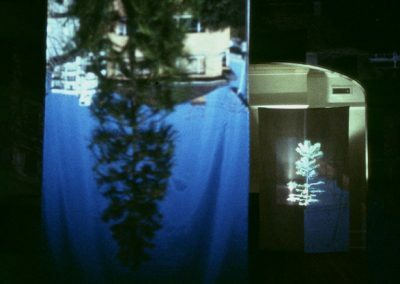 The gallery was turned into a camera obscura, projecting an image of a hoop pine growing outside the gallery into the space. 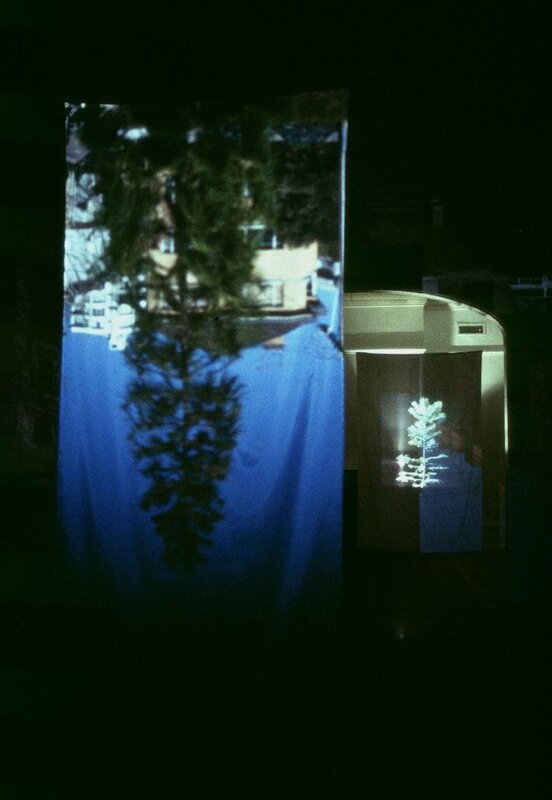 A slide of the then-recently discovered Wollemi pine was also projected. Two images of trees from the same botanical family: one growing a few metres away on the other side of the gallery wall, the other growing more than a thousand kilometres away away in a secret location.